Japan 1945 - World War II: The Western Pacific. Japanese Homeland Dispositions August 1945. Allied Plans for the Invasion of Japan (Operation Downfall). Japan 1945. The Bombing of Japanese Cities. 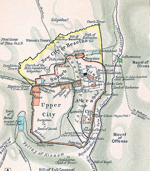 Extent of Destruction by Bombing of Principal Cities. 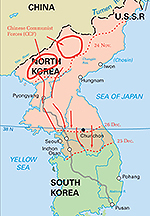 Korean War: U.N. Delay, Withdrawal and Defense, Operations June 25 - August 5, 1950. 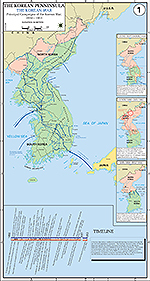 Korean War: Taegu-Pusan Area, U.N. Defense, Situation August 26, 1950, Operations Since August 5, 1950. 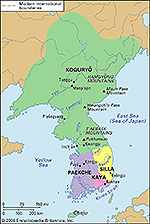 Korean War: Taegu-Pusan Area, U.N. Defense, Situation September 10, 1950, Operations Since August 27, 1950. Korean War: South Korea. U.N. 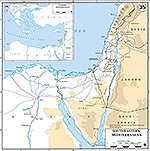 Offensive, Situation September 26, 1950, Operations Since September 15, 1950. Korean War: South Korea. U.N. 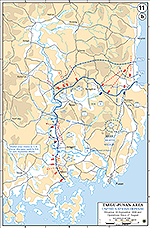 Offensive, Situation September 26, 1950, Operations Since September 15, 1950. Close-Up. Korean War: North Korea. U.N. Advance to the Yalu River, Initial Chinese Counter-Attack, Situation October 26, 1950, Operations Since October 7, 1950. Korean War: North Korea. U.N. Advance to the Yalu River, Situation November 24, 1950, Operations Since October 26, 1950. Korean War: North Korea. U.N. Chinese Communist Offensive, Situation December 5, 1950, Operations November 26 - December 15, 1950. 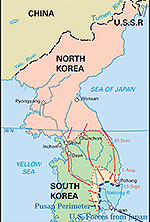 Korean War: South Korea. 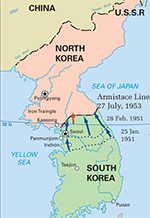 Second Invasion of South Korea, Situation January 24, 1951, Operations Since December 31, 1950. Korean War: South Korea. U.N. Counter-Offensive, Situation April 22, 1951, Operations Since January 25, 1951. Korean War: South Korea. Operation Ripper, Situation March 6-31, 1951. Korean War: Central Korea. Communist Spring Offensive (First Impulse), Situation on April 30, 1951, Operations Since April 22, 1951, Probing Attacks by U.N. 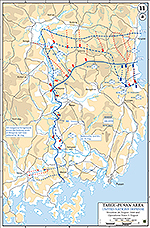 Forces, May 1 - 10, 1951. Korean War: Central Korea. Communist Spring Offensive (Second Impulse), Situation on May 20, 1951, Operations Since May 14, 1951. Korean War: Central Korea. U.N. 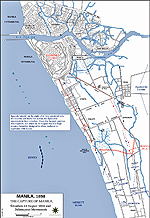 Offensive, Situation on November 27, 1951, Operations Since May 23, 1951. 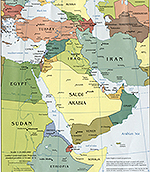 Kuwait - Map of the Gulf War, Iraqi Invasion of Kuwait, 1990. Luzon, Philippines, in World War II: Communications Net, American Dispositions, December 8, 1941. Luzon, Philippines, in World War II: Centrifugal Offensive, December 10, 1941 - May 6, 1942. Malaya in World War II: December 1941 - January 1942. 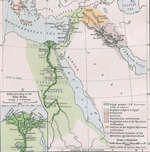 Mediterranean, Eastern: Turkey, Lebanon, Syria, Jordan, Israel, Egypt, Saudi Arabia, Sinai Peninsula, Libya. Mediterranean and Europe. Disposition of Marine Units, Deployment of Army Task Force 201, 1958. Okinawa April 9 - June 30, 1945. 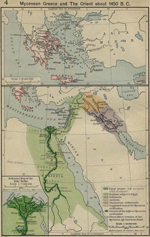 Orient and Mycenaean Greece 1450 B.C.